In the summer of 1981 we did a session at a studio called Starforce in Clapham. 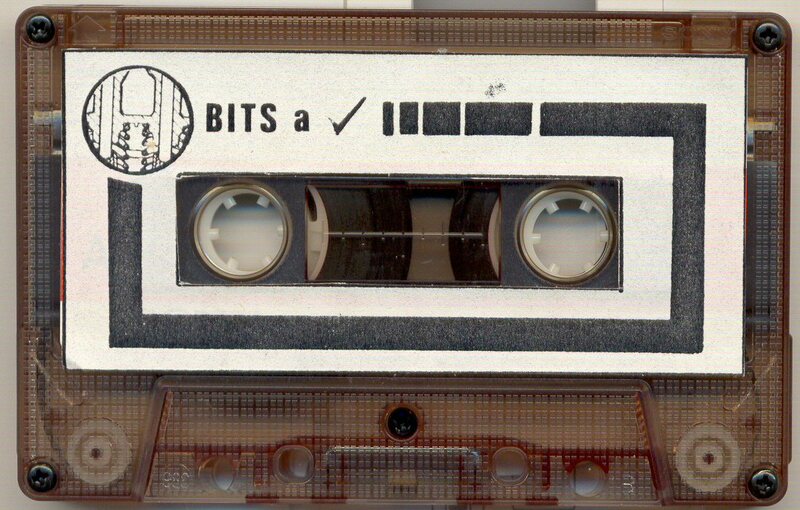 We recorded a few tracks, some of them demos for the gestating Ultramarine album, and one for a cassette compilation called Bits released by Reading based X-Cassettes. There is more about this compilation, and a download too, here. Cat Bug Jeep is an imaginary theme song for nothing in particular, and also a binaural stereo experiment, by which a couple of omnidirectional microphones were attached to the sides of a skull, a technique we employ to this day. There’s a remastered version on the Memory Span page at Acute Records. The Therapy album may seem to go out on a dark note, but it’s a defiant one. This was always an enjoyable song to perform, and a lot of that was to do with the performance of Mr Nicholas Cash. When he broke into those 1/16th note runs it felt like the whole band was levitating. The middle section sends the guitars flying into a matrix of harmonizers and delays. Still sounds good to me. Refreshment is now provided in the form of a bracing bucket of water. Figuratively, infinite buckets. Uniquely, the lyrics of this song are a group effort, each Line taking a line in rotation. The reaction of Mr John Peel maybe sums it up best: “…rum…decidedly rum…”.